I was showering with a tree. Yet I was in total luxury, enjoying steaming hot water set at my preferred temperature from five showerheads in a deluxe bathroom called a “a spa in the sky” by “Treehouse Master” host Pete Nelson. 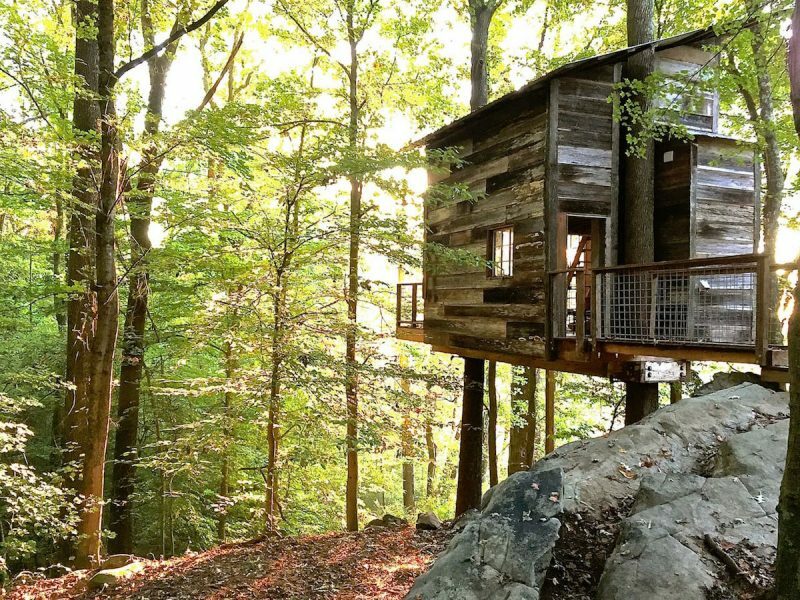 Pete is a world-renowned treehouse architect who designed this 360-square-foot treehouse near Lookout Mountain in Tennessee in a partnership with Dove Men+Care to introduce its new Elements line of skincare products for men. 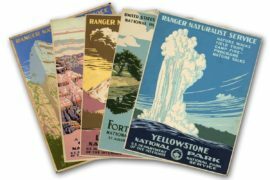 The products are inspired by ingredients from nature like sage, charcoal, clay, mineral powder and sandalwood, so what better way to launch and showcase them than having guests use them as close to nature as it’s possible to get while still enjoying the high-tech features of the modern bathroom? The five showerheads are controlled by a keypad located next to the shower. You can turn on your choice of the overhead rain shower, one in the more traditional angled location plus three additional heads located on the wood-lined shower wall to hit you at various places on your body. You can even select the temperature of water you’d like. I had no idea what the precise temperature is of the water I love to blast in my shower, but discovered 103 degrees works for me. (Fun fact: I Googled how hot a shower should be as I was concerned I was roasting my skin. Doctors recommend staying below 110 degrees.) While I showered, I could enjoy sunlight streaming through the glass ceiling, and a view into the woods from the window. After forcing myself out of the shower, I loved stepping on the heated tile floor, a luxury few of us have in our own homes. 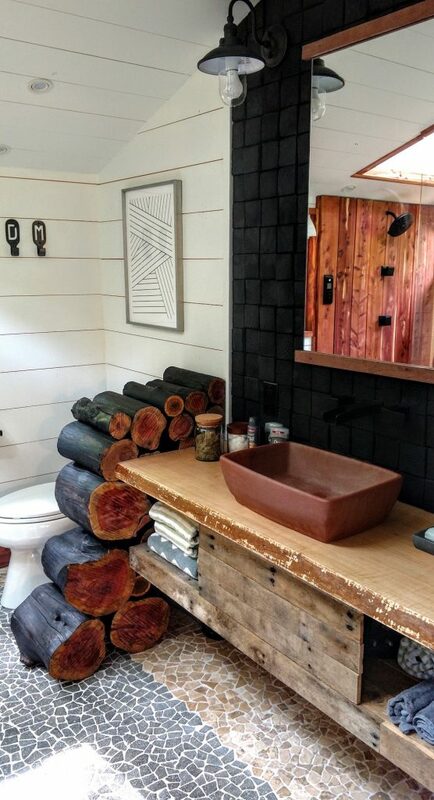 There’s plenty more to enjoy about this delightful treehouse other than the shower, however. 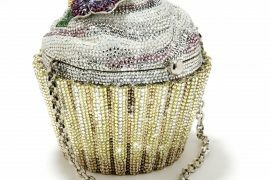 Designer and Bright Bazaar blogger Will Taylor used several of the elements found in the products throughout the space. These include clay sinks, sandalwood scent diffusers and mineral coasters. The living area has a small sofa, coffee table, closet, kitchen sink with tea kettle and mini fridge. The queen-size bed is super comfortable, and we could keep the light out of the many windows in the morning by pulling down the tailored Roman shades. There are also curtains you can draw around the bed for privacy or just to increase the cozy feel. In the upstairs loft, there are two twin beds. 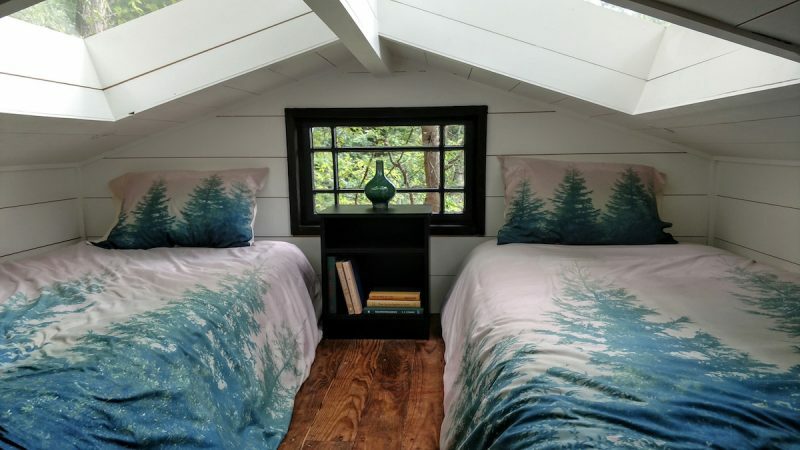 While the ceiling is low, two huge skylights keep that claustrophobic feeling at bay, and allow a view of the stars at night, a soothing way to fall asleep. The exterior of the treehouse includes that charred cedar siding, a deck on the front with two small ottomans and a cute front entrance with two chairs and a small table. I sat out there and worked one morning, feeling less stressed than usual surrounded by the canopy of trees and the gentle sound of water running from a nearby stream. Did I mention the high-speed gigabit internet? 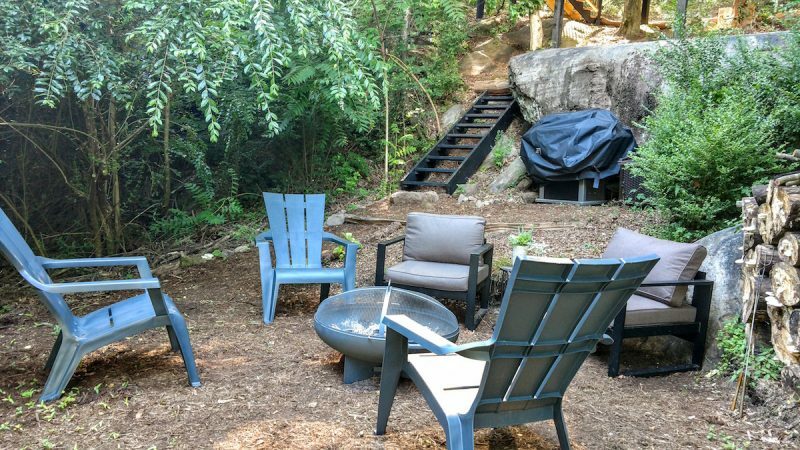 Take a short path down a bit and there’s a fire pit with five chairs, plenty of wood and a grill. Warm summer temperatures killed our thought of relaxing by the fire, but it would be wonderful on a cooler night. The firepit is located below the treehouse, with plenty of seating, wood and a grill. While there are a few hiking trails in the woods on the property, there are several nearby. We drove up Lookout Mountain one day to Sunset Rock for a magnificent view of the valley below. So how did this beauty in the woods come to be? Once Dove decided to build a treehouse, the next step was finding the right partner. That’s where Enoch Elwell comes in. I can get on board with that. I thought back on my childhood and hours spent in the treehouse behind the Kelly’s house on the wooded cul de sac I grew up on in Atlanta. During summer months and after school we barely darkened the doors of our houses as we spent as many hours outside as we could, exploring the creeks and backyards of the neighborhood, and hanging out in the treehouse, where many of my favorite memories were made. Others agree with the power of a treehouse, as the campaign worked. After raising $34,000 they constructed Luna Loft, designed to blend in with the surrounding trees that include beech, oaks, pines and sycamore. Enoch took us on a tour of Luna Loft, which now rents on Airbnb for $245 a night and stays booked about three months out. 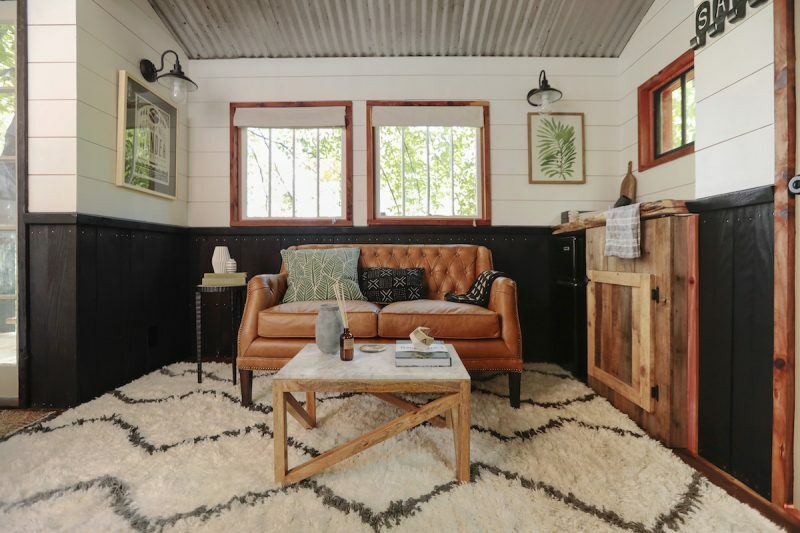 He pointed out the construction materials that included wood reclaimed from an 1860s barn from north Georgia and industrial windows from a building downtown. A replica of a Victrola sits by the kitchen sink with a slot to amplify the speaker of a smartphone. 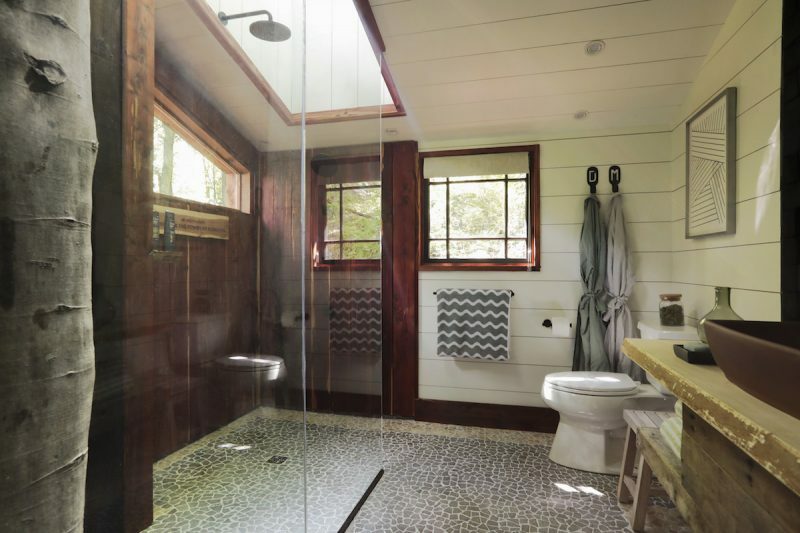 While the bathroom doesn’t compare to the high-tech Pete Nelson-designed one in the Dove Elements Treehouse, this one has its own charm in the form of a whisky barrel shower. “It only runs water now, no whisky yet,” Enoch said. 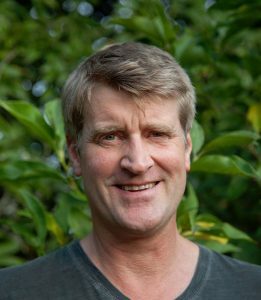 Pete Nelson is the guru of treehouses and hosts the popular Animal Planet show “Treehouse Masters.” Treehouse. I’ve been more of a tiny house fan, but now will be checking out this show as I rekindle my love for treehouses. The living room has a small sofa and coffee table with a guestbook filled with accolades from happy guests, some of whom even did sketches of the treehouse. People have spent their wedding night here, or honeymooned here. The sofa pulls into a sleeper to accommodate extra guests, while the queen bed is located up a ladder in the loft. A small deck on the side has two chairs for outdoor seating, and a small fire pit is in the front. 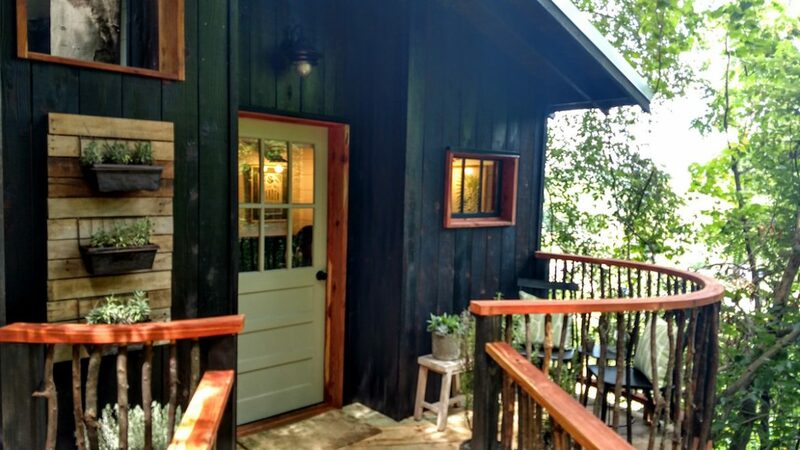 Luna Loft is located just up the hill from Elements, with paths through the woods leading to both homes. Remote-controlled strings of lights provided ample light to navigate when we returned at night. As he took us on the tour, Enoch told us the story of how the Dove treehouse came to be on his property out of all the wooded acres in the country. Their long-term plan includes building several other treehouses where groups could stay for reunions and retreats. 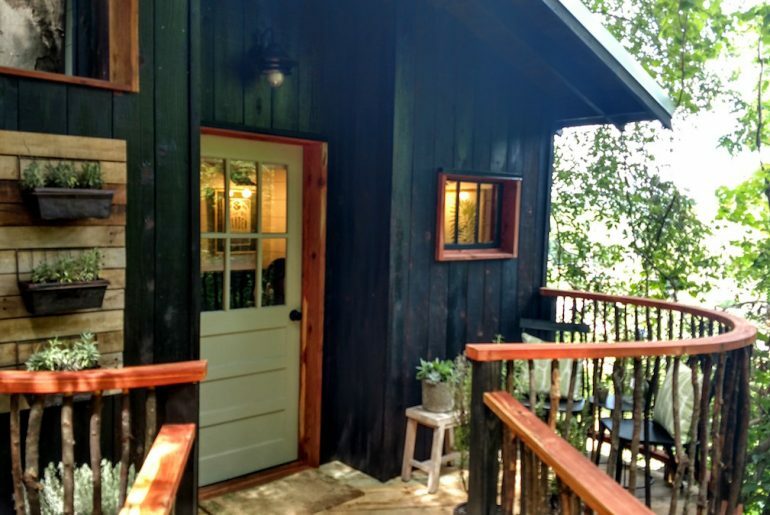 The treehouse is now available on Airbnb for $375 a night. 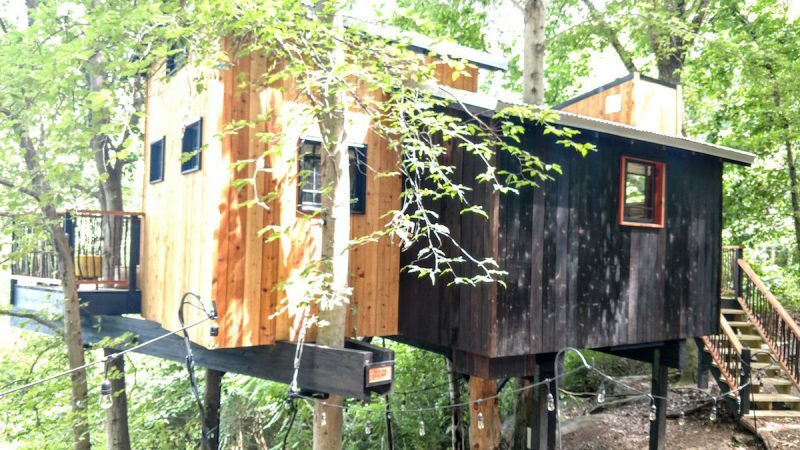 For more on treehouses Georgia, visit The Treehouse Tour and Treehouses in Georgia. 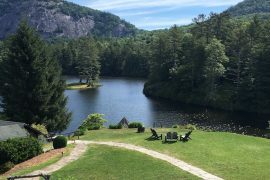 We are always looking for unique accommodations and especially love it when they are immersed in nature like this one. Sleeping in a treehouse sounds cool! I love that you can find such interesting places to stay on Airbnb. Love this!! Thanks for the article.